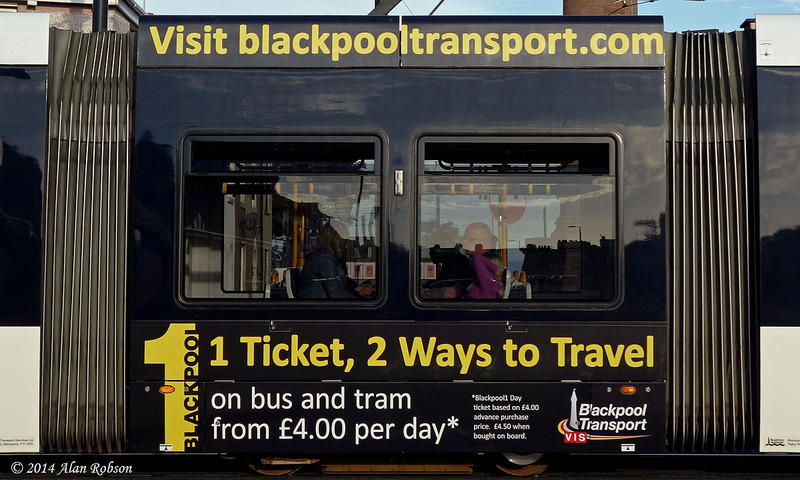 More of the Flexity 2 trams have received new adverts this week, 014 is carrying a red advert inviting businesses to advertise on the trams and buses, and Flexity 015 is now advertising the Blackpool1 Tickets which are available for discount travel on the buses and trams of Blackpool Transport. 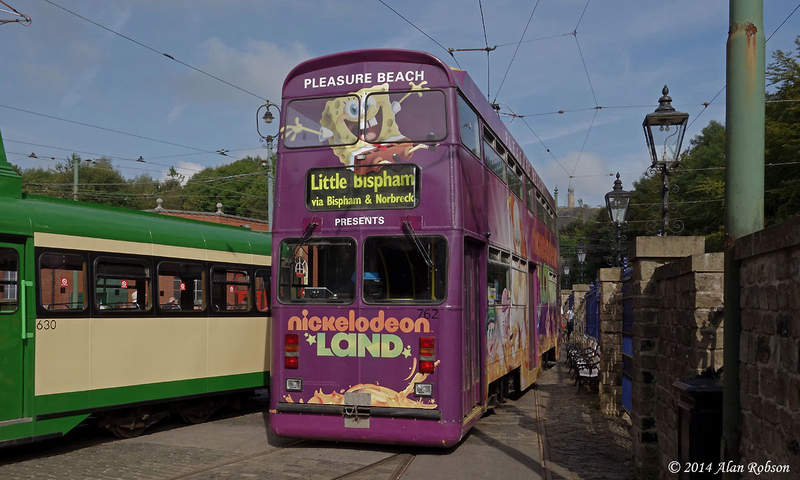 Both trams previously carried Pleasure Beach advertising, 014 had a photo of the Big One rollercoaster on the centre section and 015 used to advertise Nickelodeon Land. 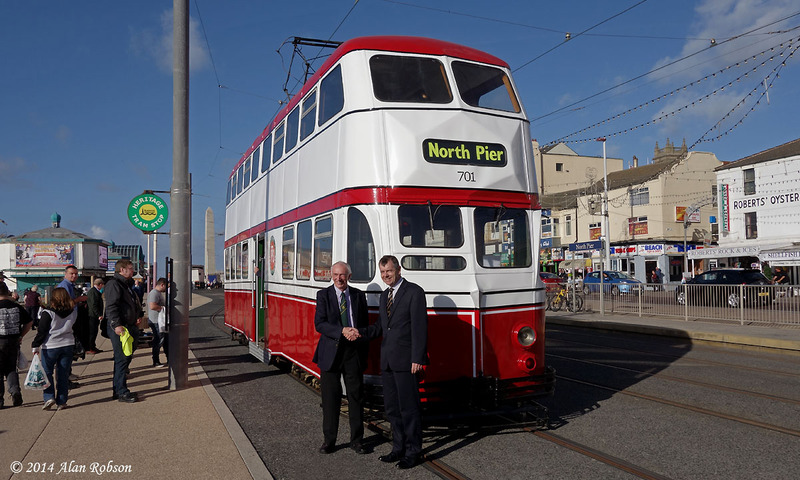 Balloon 701 was officially launched into heritage fleet service on Friday 26th September, with a short ceremony taking place on the loop at North Pier to mark the completion of the repaint into Blackpool Routemaster style livery. 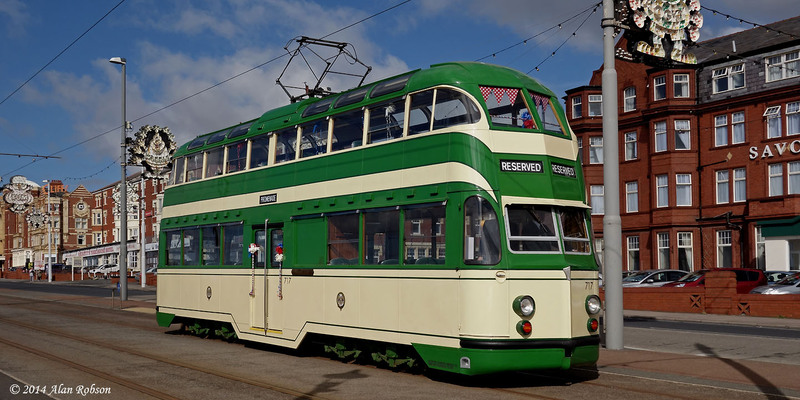 Some short speeches were made by Harold Blythe, the Chairman of the Fylde Tramway Society, and Bob Mason, Director of Delivery for Blackpool Transport Services, before the tram loaded up with passengers and performed a special round trip to Fleetwood Ferry and return. 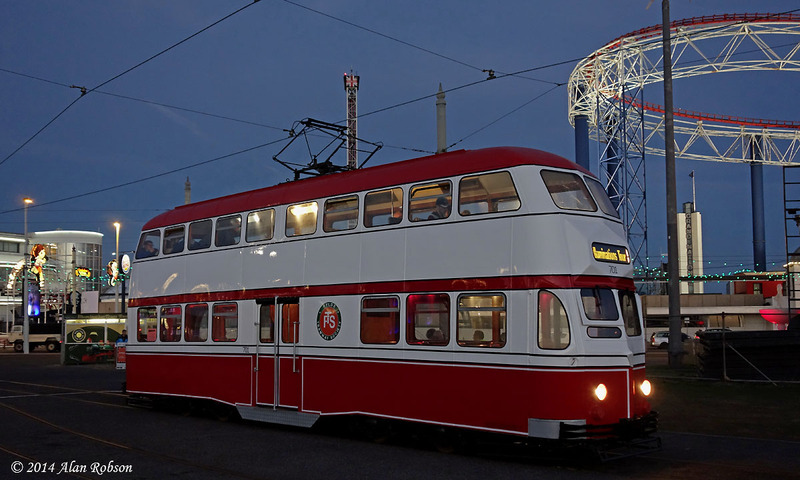 After the tram returned to North Pier it then ran out of service to Rigby Road depot, where the crew took their crew break before 701 emerged again to take its place on the evening Illuminations Tours, operating from the Pleasure Beach loop. 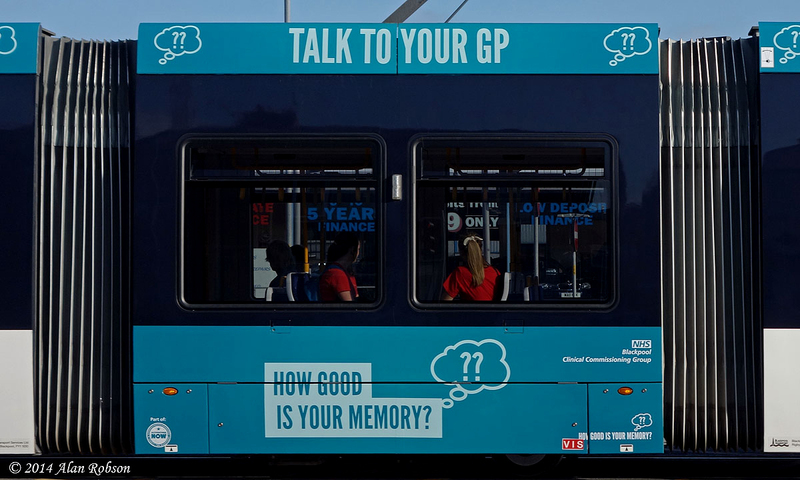 Following the recently applied new advert on Flexity 006, sister tram 005 has now received an NHS sponsored advertising campaign asking "How Good is Your Memory? 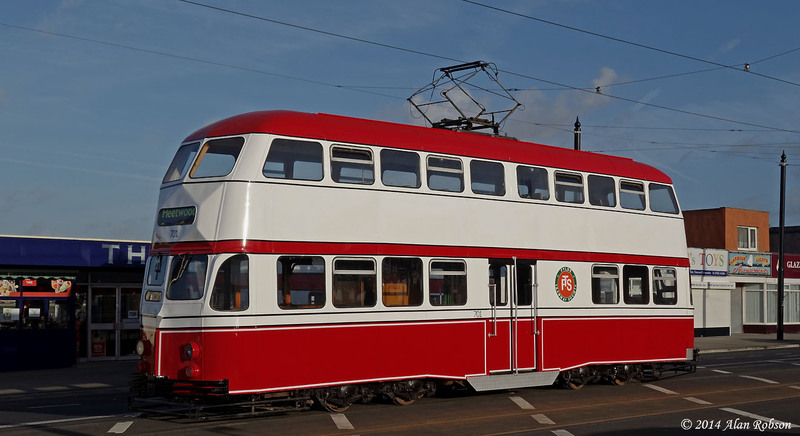 ", on a blue background along one side of the tram only. 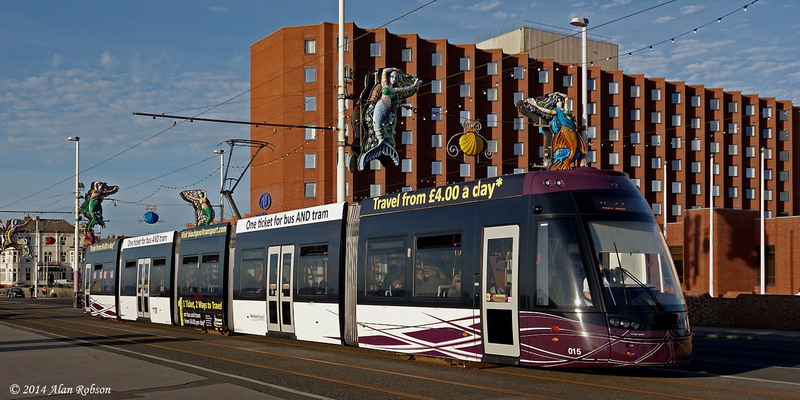 Flexity 005 still has its existing advert for the Big Blue Hotel at Blackpool Pleasure Beach on the opposite side of the tram. 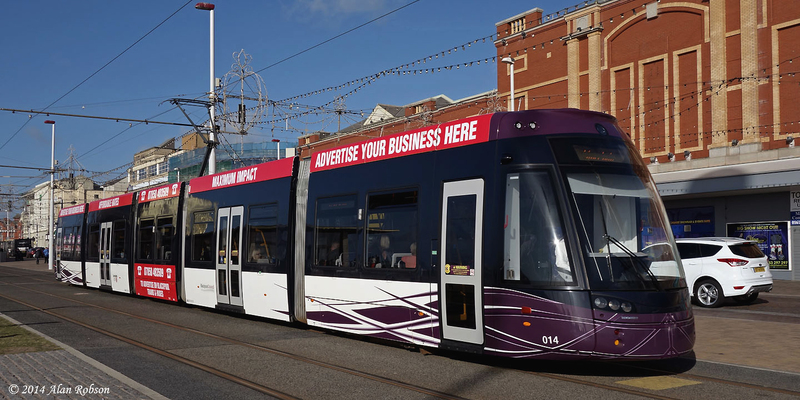 Flexity 006 has been noted in service with new advertising. 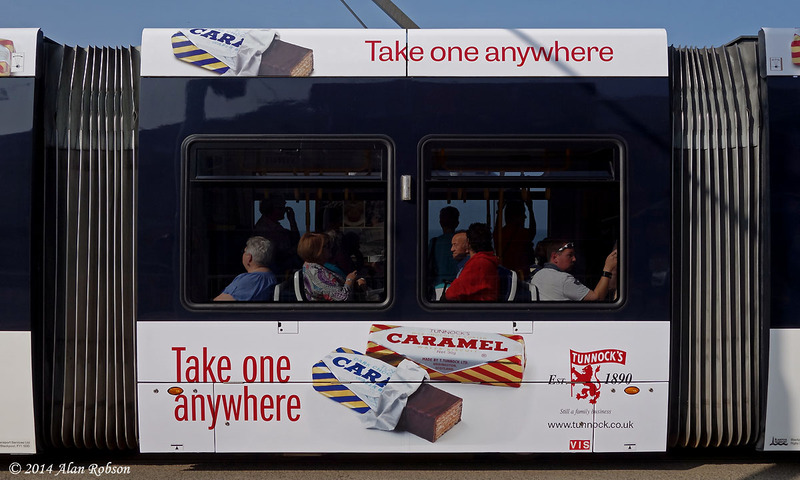 006 previously carried adverts for Blackpool Pleasure Beach, but these have now been replaced by adverts on both sides of the tram for Tunnock's Caramel Wafer Biscuits. 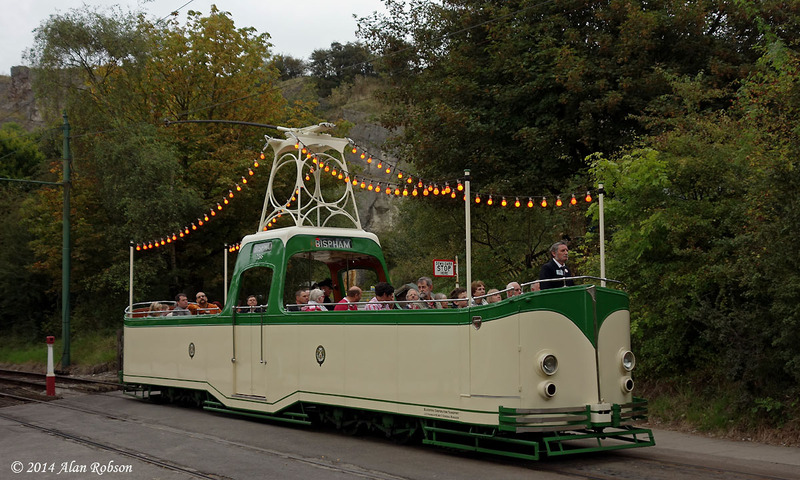 Saturday 13th September saw the first day of the 'Electric 50' celebrations at the National Tramway Museum at Crich in Derbyshire. 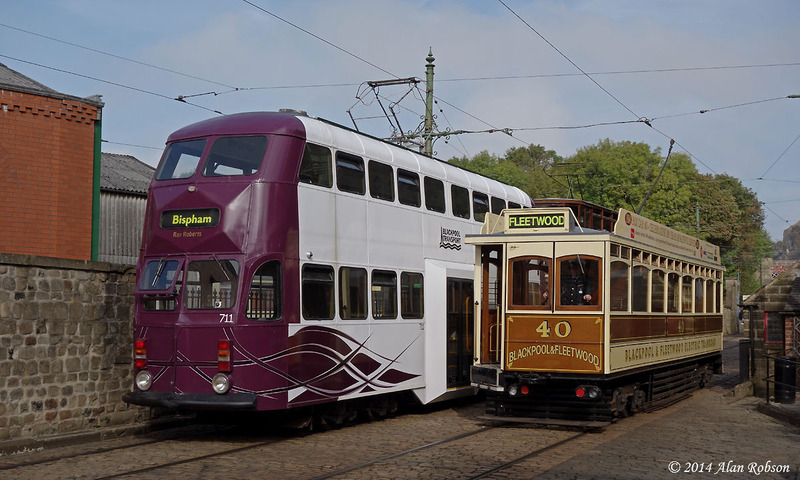 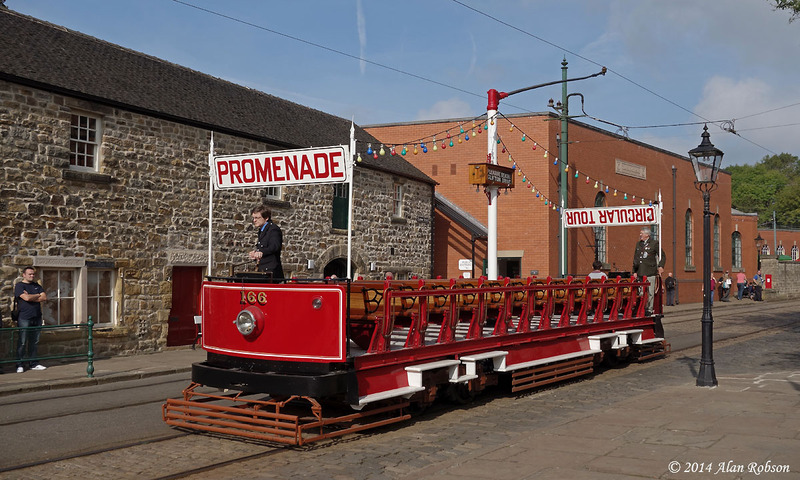 The event was to celebrate 50 years of electric tramcar operation at the museum, and on both days a 25 tram cavalcade was due to take place. 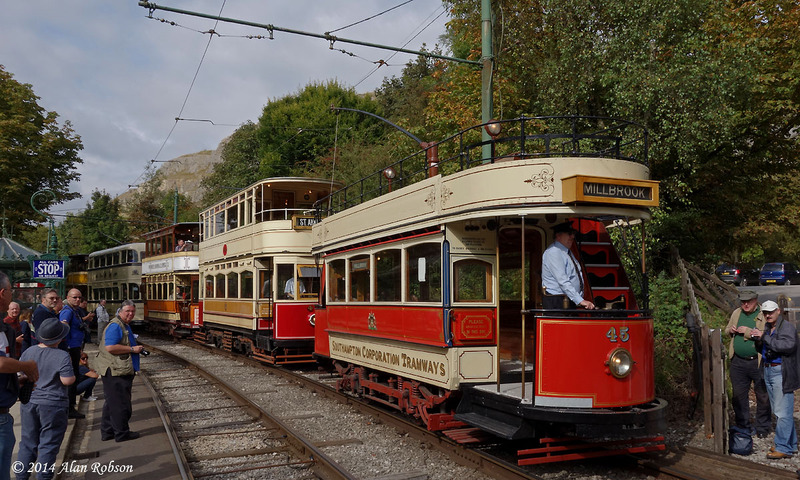 Day one saw the trams rostered in the cavalcade in the order that they had first operated at the museum. 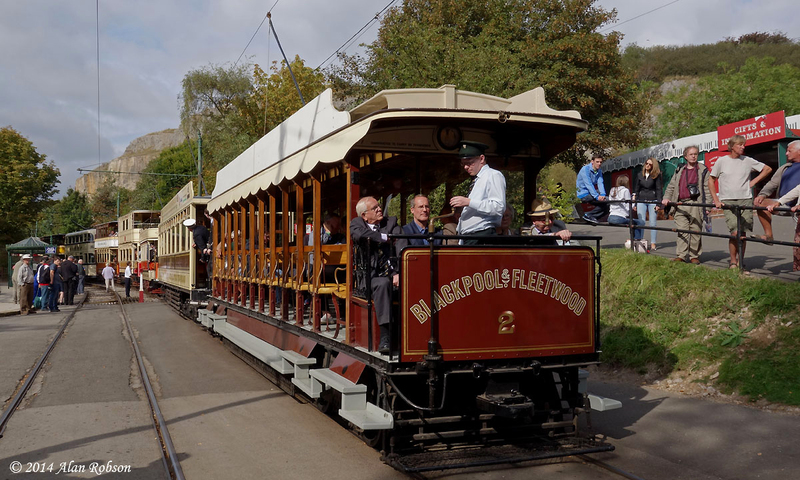 Blackpool and Fleetwood crossbench car No 2 was at the head of the cavalcade on the Saturday. 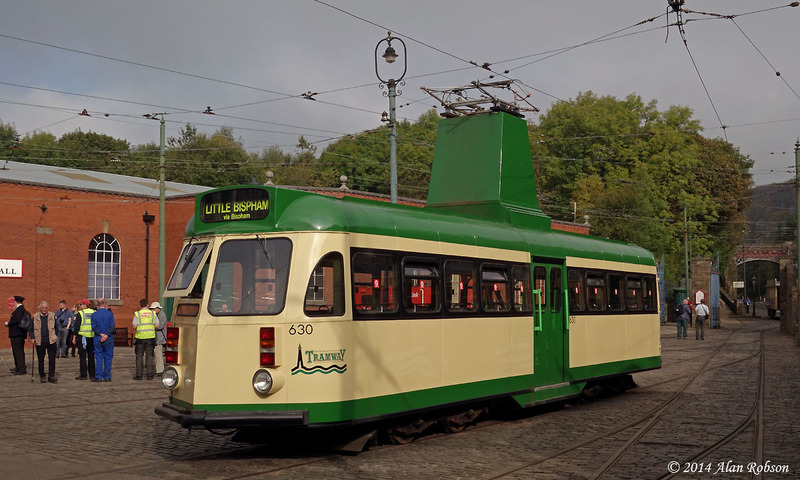 Not only is this 1898 tram the oldest operational electric tram at the museum, it was also the first one to run under electrical power there, back in 1964. 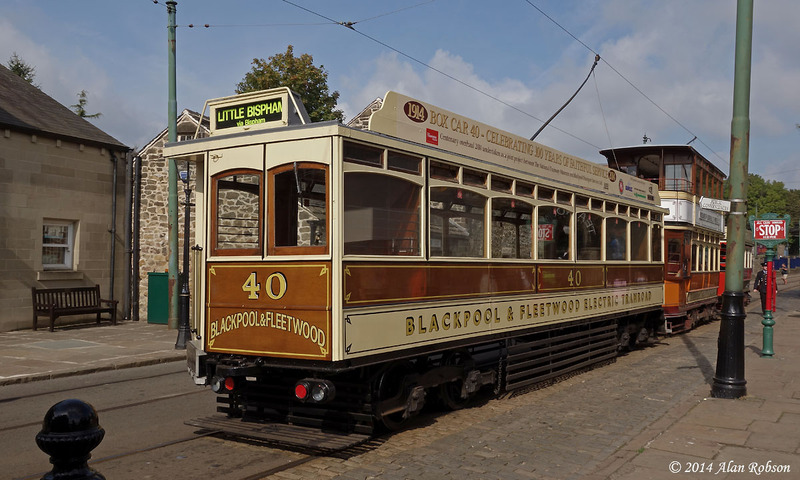 Bryan Lindop, Head of Blackpool Transport's heritage tram operations, was given the honour of sitting on the front seat of the lead tram in the procession. 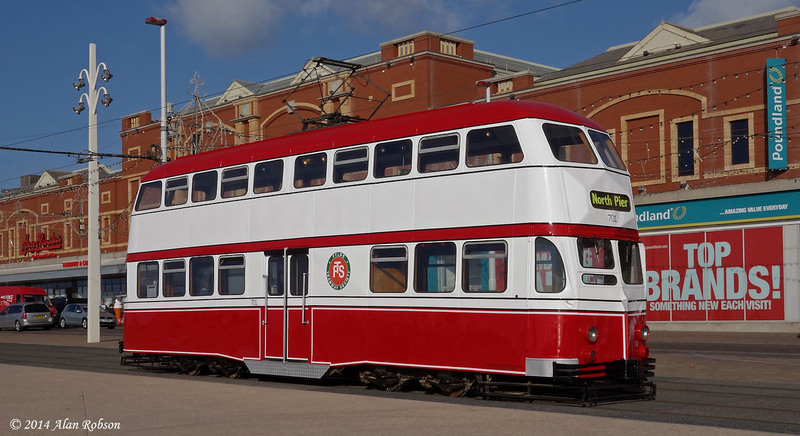 One of the highlights of the day was due to be the official launch of Blackpool Jubilee 762, which was then scheduled to enter passenger service for the rest of the day. 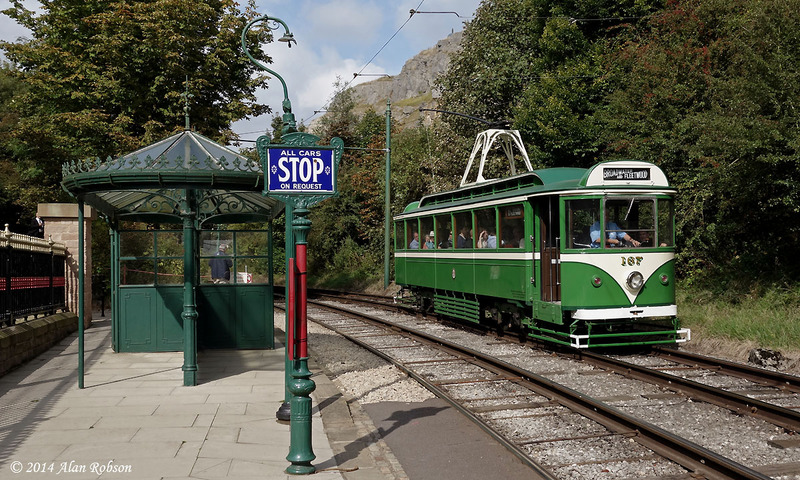 Unfortunately the tram failed in service on its inaugural run north and had to be withdrawn from service for the rest of the day. 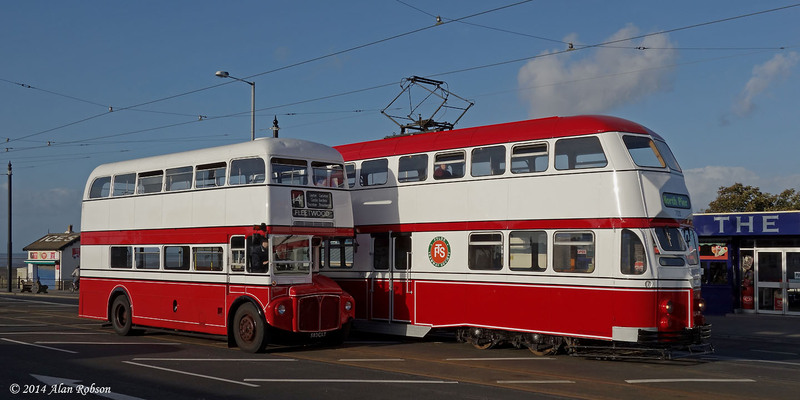 Apart from the obvious disappointment of visitors being unable to sample rides on 762, the rest of the day's events ran smoothly, except for a rather long hiatus during the middle of the day while the 25 trams for the Electric 50 cavalcade were being assembled, this operation interrupted normal passenger service for some considerable time. 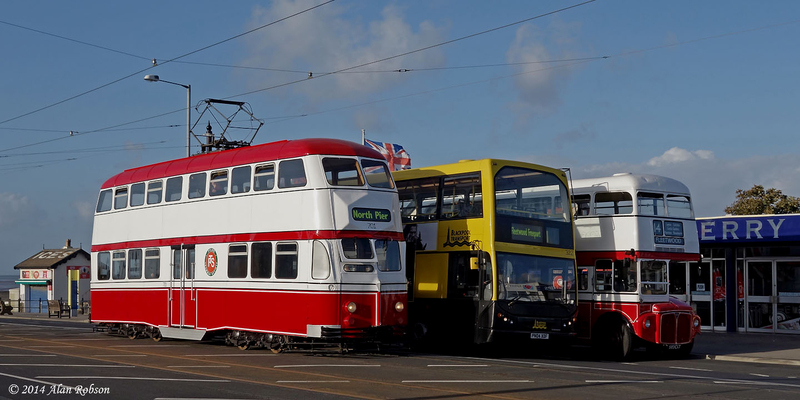 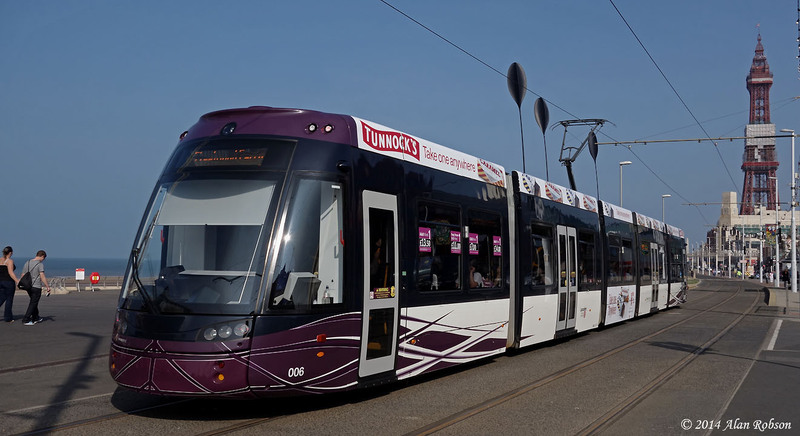 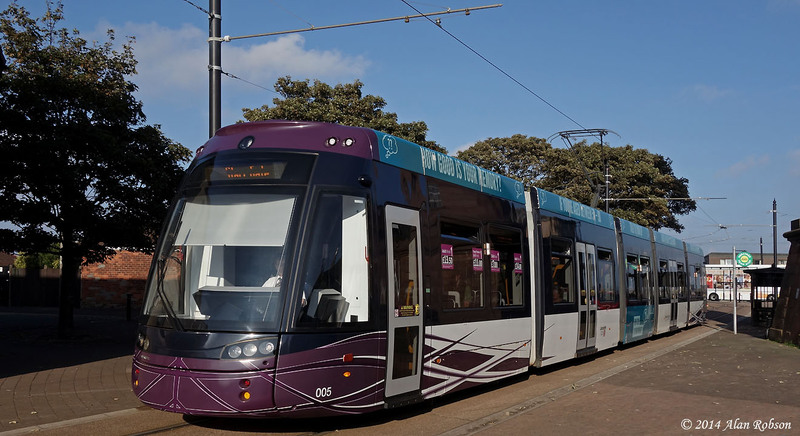 This report includes a selection of views of all the Blackpool trams that were used during the first day's proceedings on Saturday 13th September. 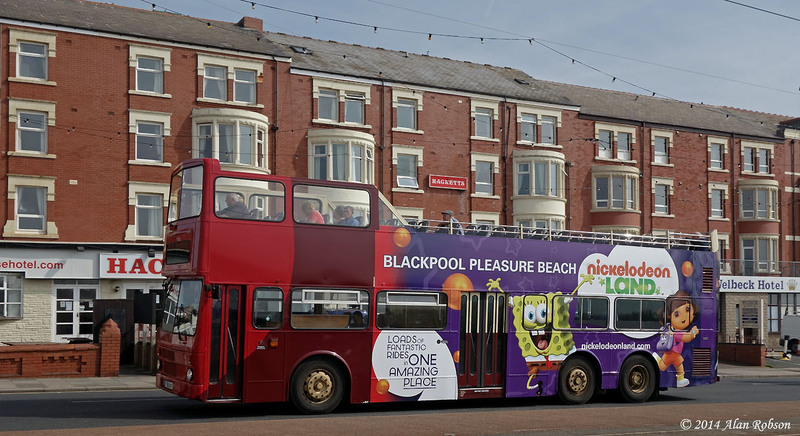 Arriva London Borismaster LT188 was noted operating along the Promenade in Blackpool on 14th September. 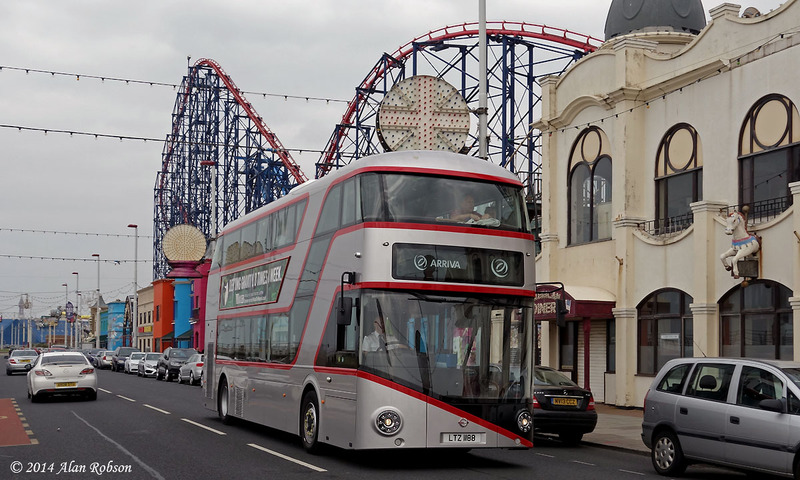 This silver liveried Borismaster's normal stamping ground is on the route 38 to Victoria Station in London, however the bus was seen running up and down Blackpool Promenade on Sunday 14th. 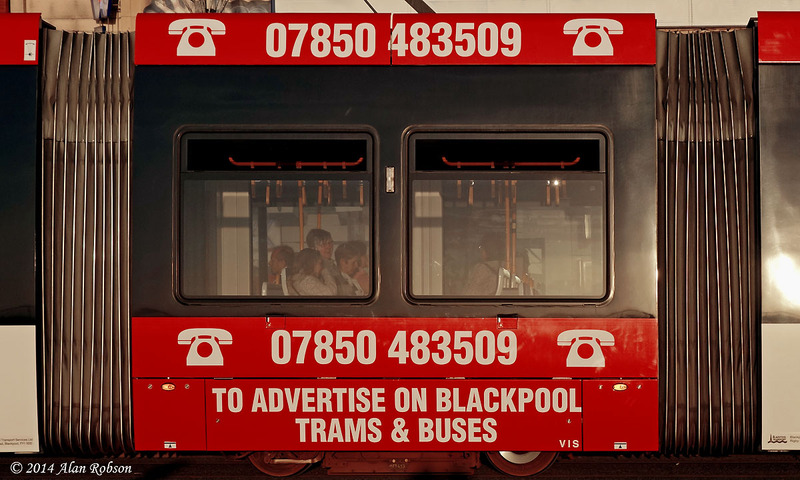 Before anyone builds their hopes up too much, the Borismaster was not unfortunately a demonstrator operating with Blackpool Transport, it was merely offering demo rides from the Hilton Hotel using a London based driver, in conjunction with the Bus Driver of the Year 2014 competition that was taking place in the resort on the same day. 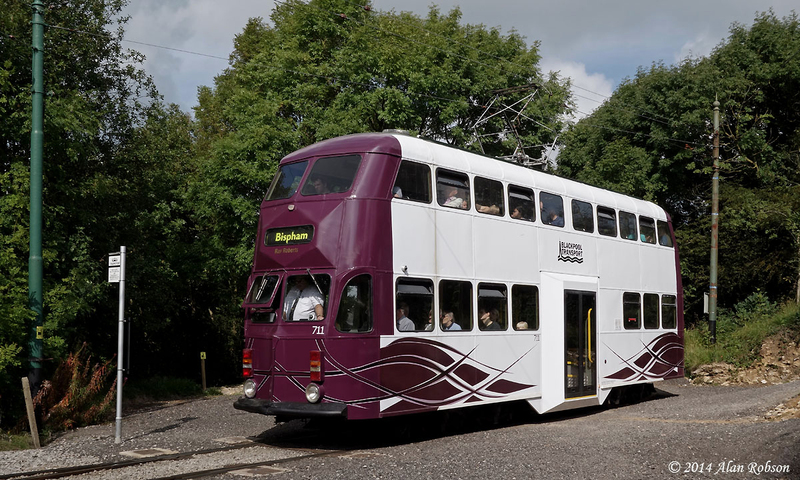 Balloon 717 was used on a private hire on Saturday 6th September. 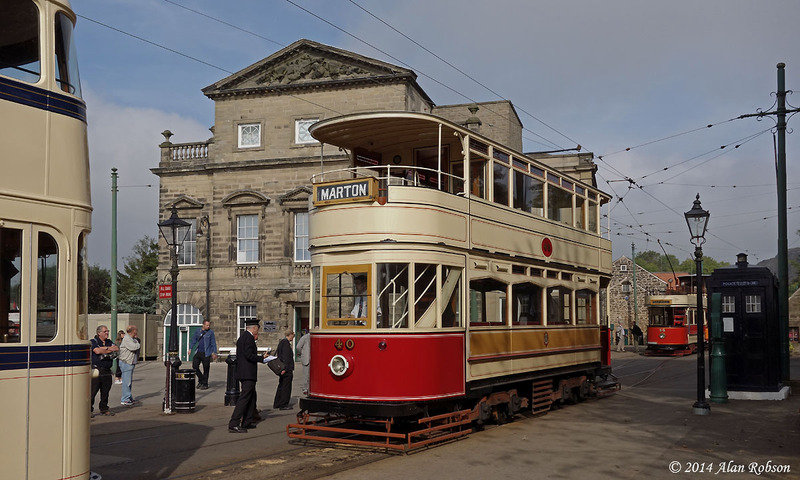 The tram was chartered for use by a wedding party, dropping them off at the Imperial Hotel before crossing over at the Cabin and heading back south again. 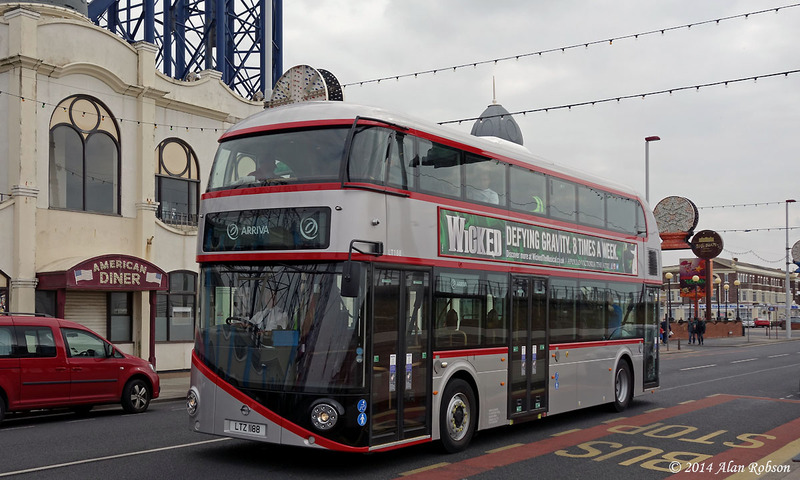 Former China Motor Bus 12m MCW Metrobus F326UJN (CMS fleet number ML326) made its debut on the Seafront service of Oakwood Travel on 5th September. 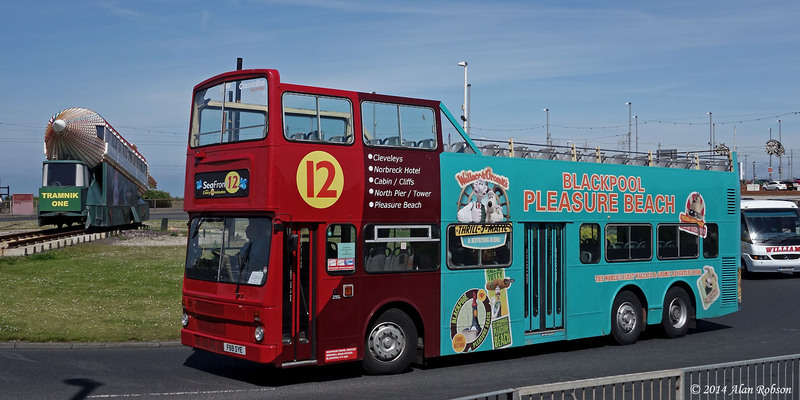 This bus formerly operated on city sightseeing tours around London for The Big Bus Company until 2009 when it was retired, and was delivered new to China Motor Bus in Hong Kong in 1988. 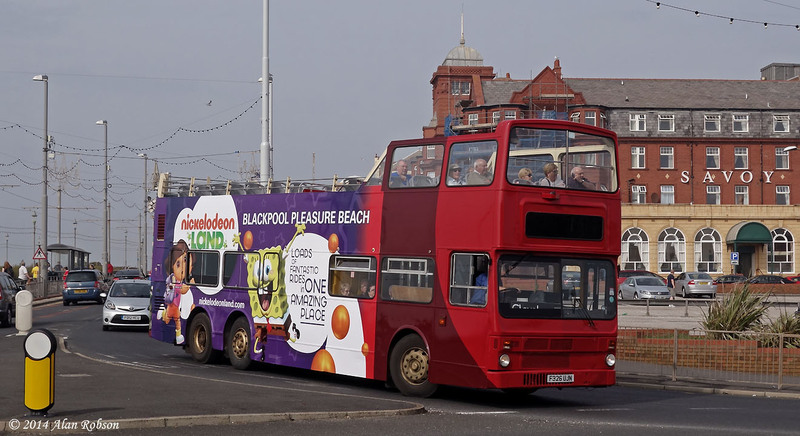 The vehicle has been in Classic Bus North West and Oakwood Travel ownership since February 2013, and sister vehicle F69SYE has been operating on the Promenade Seafront 12 route since June 2013. 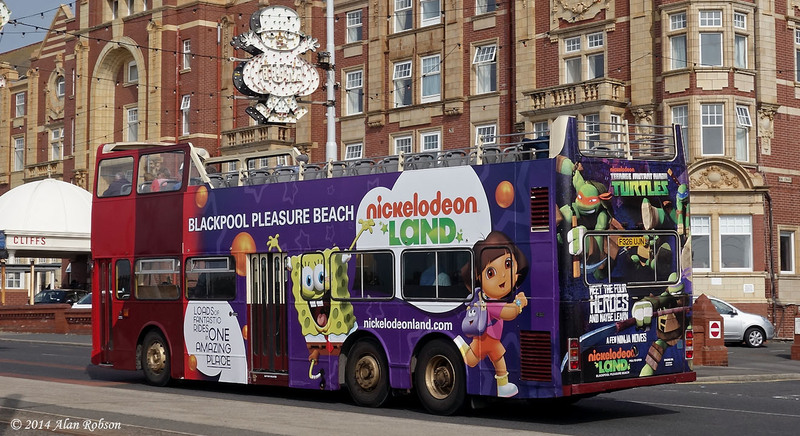 F326UJN has large adverts for Nickelodeon Land at the Pleasure Beach on the sides and rear of the bus, but is totally devoid of any Seafront 12 route branding at the moment.